Happy day! 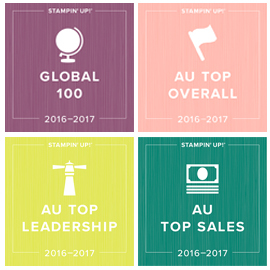 You can now view all the beautiful new Stampin' Up! 2018 Christmas / holiday products in my online store! There are so many beautiful options for your Christmas creative projects. View Holiday Catalogue Embellishments, Designer Series Papers, New Stampin' Blend Colours, Dies and more! Short on time? I have the perfect solution for you, and a September bonus offer. The beautiful new Timeless Tidings Project Kit, is probably the most beautiful card kit I have ever had the pleasure to sell from a Stampin' Up! catalogue. It's great quality, and so beautiful with a rich and luxurious feel. The kit contains the materials and gold foil edged envelopes to make 20 cards (5 each of the ones shown here) and is just $35. It comes with instructions which show you where everything goes, including guide lines, So east! This is all you will need to put the kit together. You just need to buy these things once, even if you buy two or more kits. If you are close to Lilydale, contact me to make a time to pop over for a cuppa and stamp your greetings here instead, using my stamp set. You can view my other Holiday Catalogue ideas too. Timeless Tidings Stamp Set (and acrylic block if you buy the clear version). September Bonus: When you buy one or more Timeless Tiding Kits plus the Timeless Tidings stamp set from me, I will send you a FREE 6 Card Kit, with cardstock, embellishments and Designer Series paper to make 6 alternate cards using this stamp set (2 each of 3 designs). Kits will ship commencing 2oth September. Clear Option A: Buy 1 kit and the clear stamp set = $70 plus postage plus FREE card kit for 6 more cards (= 26 cards total). Clear Option B: Buy 2 card kits and clear Timeless Tidings Stamp set = $105 plus postage plus FREE card kit for 6 more cards (=46 cards total). Wood Option A: Buy 1 kit and the clear stamp set = $84 plus postage plus FREE card kit for 6 more cards (= 26 cards total). Wood Option B: Buy 2 card kits and clear Timeless Tidings Stamp set = $119 plus postage plus FREE card kit for 6 more cards (=46 cards total). Here's a closer look at the beautiful Timeless Tidings Stamp Set. Have fun with the beautiful new Stampin' Up! Holiday Catalogue. Are you ready for some Christmas creating? Stampin' Up! have released one of the fabulous bundles from the 2017 Holiday Catalogue (request your paper copy of the new catalogue HERE). It's called Carols of Christmas bundle, which includes the Carols of Christmas stamp set and the Card Front Builder Thinlits Dies (when you buy the bundle, you get the products at a combined 10% off). Both the stamp set and the bundle are available in wood mount and clear mount. I love the super large greetings in this stamp set, and the coordinating images and Framelits are perfect for embellishing your Christmas cards. 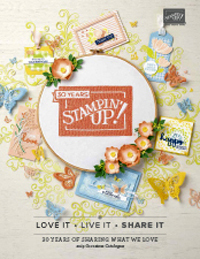 Here's a video, the stamp set and thinlits image, as well as some samples from Stampin' Up!. Read on though as I have some free tutorial and some stamp a stack kits to offer you too! Here are the products. 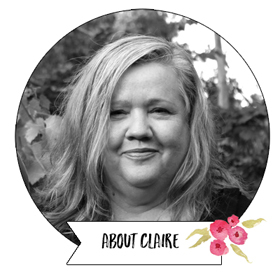 which you can find in the Carols of Christmas section in my online Stampin' Up! store. (Just a reminder to redeem any bonus coupons from July and use the August Hostess Code N32VTJJY to get a free gift in September). BONUS: Get FREE Tutorials or a cost price Stamp a Stack Kit when you purchase the Carols of Christmas Bundle from me in August. $10 discount on an 8 card and envelope Christmas Stamp a Stack which includes the above instructions (so 2 each of the 4 designs) with the cardstock, 1/4 pack Be Merry Designer Series Paper, die cut stitched circle and label shapes, metallic enamel shapes, sequin trim and envelopes. This will cost you $18.50 including postage. Small print: Discounted price only available to those people who purchase the bundle from me (or intend to during August) and the kit must be purchased prior to August 10th. It's OK to purchase the kit before the bundle, but it won't be posted to you until the bundle has been purchased (or you pay the additional $10). Products will be ordered 11th August and the kit should be posted bu around the 21st assuming everything runs normally with me receiving the order. If you would just like to purchase the Stamp a Stack kit without buying the bundle from me, the cost is $28.50 including postage, as these are embellished and layered cards and you are getting lots of product to complete them. Version 1: $18.50 and I intend to purchase the Carols of Christmas bundle from you by 31st August (just purchase the bundle the normal way you would make a purchase). I understand the kit wont be posted until I complete the purchase or upgrade to version 2. Please note the other general and ink supplies you will need besides the bundle. Version 2: $28.50 just the stamp a stack kit for 8 cards and envelopes (please note the supplies you will need). If you have any questions, or would prefer to pay over the phone with credit card, or by direct deposit, please contact me by email or phone. I hope you love creating with the Carols of Christmas bundle as much as I have! Designer Tin of Cards Stamp Set and Projects Kit from Stampin' Up! These Tin of Cards Project Kits from Stampin' Up! have been a huge hit in the catalogue both last year and this year. In this years 2016 Annual Catalogue, we have a new tin (Dapper Denim stripes) and all new card designs and stamp set. I think this years is my favourite. The stamp set is awesome to stand alone. The sentiments are just beautiful. Here is a stand alone card I made with the one of the sentiments from the stamp set. I love how easy our new Layering Circle Framelits make cardmaking. The teeny scallop is a great look and there are lots of different sizes in the die set. Here's a closer look at the Designer Tin of Cards Stamp Set. The Project Kit which coordinates with the stamp set comes with the tin, dividers and all the supplies needed to make 16 cards (4 each of 4 designs). It's a great gift idea and a really great storage item to have in your craft room too. Here's a picture of each of the cards I made up (full instructions are included in the project kit but they are easy to make up). The cards that you can make up are very versatile and you can choose your own greetings so that it suits you best. Here's a picture of each of the cards I made up. Thoughtful Branches Bundle: Limited edition new stamp set and matching thinlits available August 2-31st only. Details HERE.